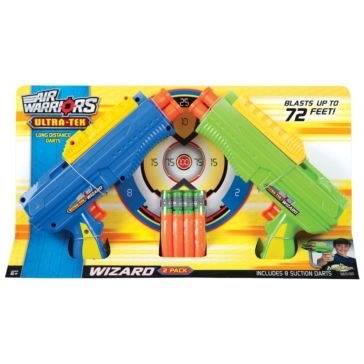 Whether you have kids who love action-packed play or you yourself are just a kid at heart, the Buzz Bee Toys Air Warriors dart blasters and refills available from Farm and Home Supply will provide tons of fun while honing accuracy and hand-eye coordination. 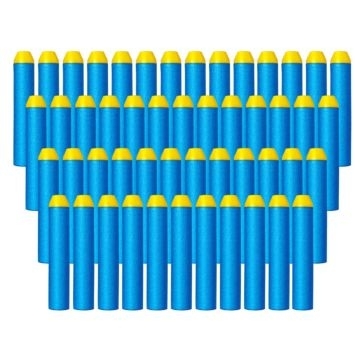 Shooting soft foam darts with rubber tips, these toys are perfect for kids 6 years old and up. 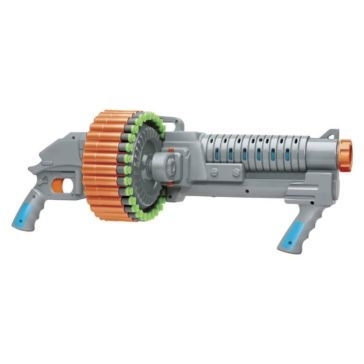 We carry a selection of Buzz Bee blasters, letting you create exactly the right arsenal for maximum fun. For special ops night or day, check out our Buzz Bee blaster handgun with night-vision pop-up scope. 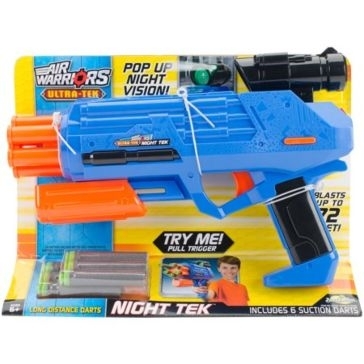 It can shoot its six included foam darts up to 72 feet. Snipers and others looking for longer-range shooting should consider our Buzz Bee blaster bolt-action sniper rifle. 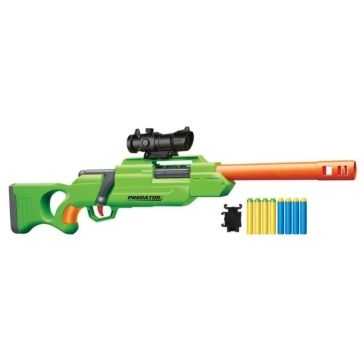 It can shoot foam darts up to 100 feet and comes complete with scope, four soft foam suction darts and four long-distance darts. To dominate any foam dart battle, consider the Air Warriors Sidewinder. Its automatic rotating drum can shoot its 30 included long-distance suction darts in a hurry and lay down a withering line of foam fire. If you never want to run out of ammo, make sure to get a 50-pack of refill darts. Whether you want to replace lost darts or need extra ammo for extended missions, these long-distance darts are designed specifically for Air Warriors dart blasters.